These days there’s a wide array of dynamo USB chargers available on the market. While most of them do an adequate job of keeping your electronics charged, different chargers are better optimised for different tasks. The things you will be trading off include charging potential with hub drag, the size and practicality of the charging unit, and of course, the price and overall build quality. This article will be discussing everything from power at certain speeds, to hub drag, right through to the general practicalities of dynamo USB chargers. Firstly, let’s quickly cover a few basic electricity units of measurement. Sorry, it’ll take a moment to get your head around this, but the knowledge will help, promise! Today we will be discussing voltage (in volts or ‘V’) and current (in amps, or ‘A’ or ‘mA’, where 1A = 1000mA). A common analogy for these units of measurement is in terms of a water pipe. Voltage is the water pressure and current is the flow rate. By increasing the water pressure in a pipe, you will increase the flow rate too. It’s the same with electrical systems; increasing the voltage increases the current. Watts (W) = Volts (V) x Amps (A). A 3-watt dynamo hub will put out 6 volts at 500mA (3W = 5V x 0.5A) in AC power. Once the power is converted to DC it’s more like 5V and 500mA; the power required for USB 2.0 charging. While some USB chargers will start charging at lower rates, most devices like to charge above 2-watts to ensure the charging level is stable. 2-watts can be reached by dynamo USB chargers at speeds between 12-16km/h. Travelling at speeds below this, and you’ll need to use a cache battery (topped up with power) to make sure your devices can make up the power difference for a stable charge. Most dynamo USB chargers use chipsets with a current limit to prevent overheating (eg. Sinewave Revolution is 1A, therefore the maximum power is about 5W (5V x 1A)). It can be said that any USB charger that puts out high watts will also be putting out a high current. 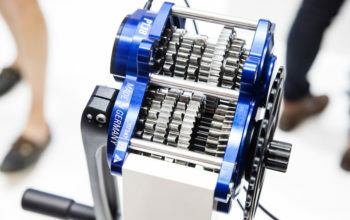 The Fahrrad Zukunft crew have conducted some really extensive testing to determine the amount of power (in watts) that can be produced by various dynamo USB chargers. The two below charts compare eight different models, some with different cache batteries or capacitors wired in. What you’re looking at is the maximum output power at the USB charger at various cycling speeds. You’ll notice that most power curves are rather linear from 5km/h until they plateau somewhere between 20-40km/h depending on the model. The exception is the Forumslader V5 and Dynamo Harvester Plus. These chargers use special series capacitors to boost the power potential of a dynamo hub. 1 Watt –Most chargers will achieve 1w between 9-11km/h. 2 Watts – At 12km/h the highest performing charger hits 2w. Most other chargers will hit 2w between 14-16km/h. 3 Watts – At 15km/h the highest performing charger hits 3w. Other chargers hit 3w between 20-30km/h. 4 Watts – At 18km/h the highest performing charger hits 4w. Three other chargers hit 4w between 27-28km/h. 5 Watts – At 20km/h the highest performing charger hits 5w. Three other chargers hit 5w above 35km/h. You’ll notice The Plug III has an odd curve. This is because it’s hooked up to a current-limited cache battery on two different current settings (400mA and 900mA). 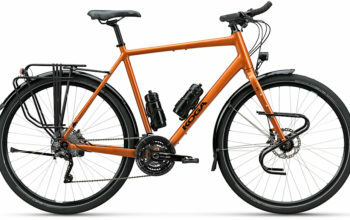 With a current limit and a dynamo hub that produces 5V, that’s why it’s limited to either 2-watts or 3-watts power. If you were to plug it directly into a device you can expect a more linear curve like the rest. In fact, according to the chart by Cinq5 found in my review, The Plug III should hit 2.5-watts at around the same time as the Forumslader V5 thanks to its power amplifier. Sorry, but there’s no such thing as free energy. Do you want a powerful charging system? That’s fine, but you’re going to have to pedal a bit harder for it! Let’s take a look at dynamo hub ‘drag’ from using different charging systems. The charts above show the power at the USB charger (via a full buffer battery). The efficiency of a high-quality dynamo hub at low power (eg. cycling at 10-20km/h) is typically 50-60%. This means that when the charger is making between 1-3 watts you can probably double that figure to work out the drag at the hub. 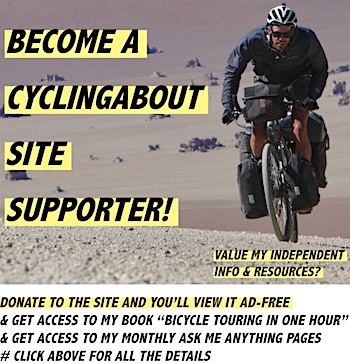 Therefore, when making 2.5 watts for USB charging you’re probably taking about 5 watts of your pedalling power. That drag equates to ~0.4km/h slower riding speeds than if you weren’t charging at USB specification (80kg rider / 15kg bike and gear / 150 watts / flat road). Or a ~3-minute time penalty over a 100km ride. The efficiency increases to 70-80% at high power (ie. cycling at 30km/h). This means that a charger like the Forumslader V5 will be taking 15-watts from your pedalling power while charging at 10.5 watts. That drag equates to ~1.1km/h slower riding speeds than if you weren’t charging at 10.5 watts (80kg rider / 15kg bike and gear / 150 watts / flat road). Or a ~9-minute time penalty over a 100km ride. While efficiency increases with rates of power, the more power developed, the more drag at the dynamo hub. 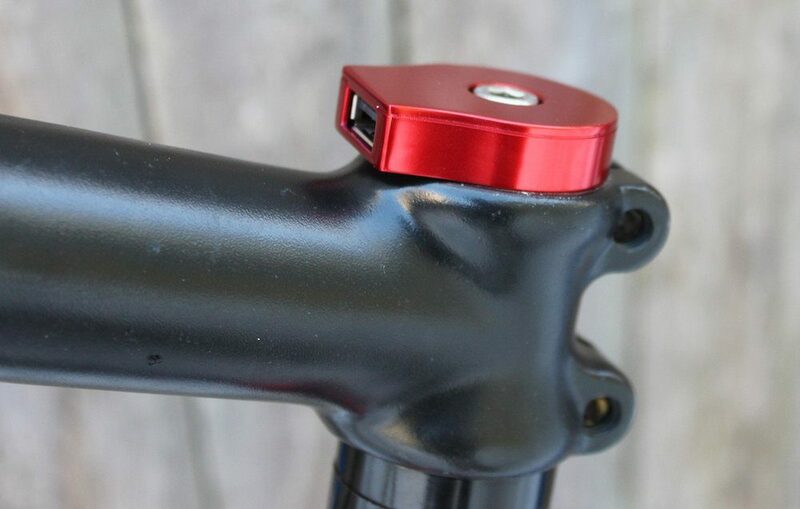 Once a 3-watt dynamo hub has been converted from AC to DC the output will translate to roughly 5V and 500mA (the USB 2.0 charging standard), which for an hour of riding is 500mAh. Charging a 5000mAh battery will, therefore, equate to 10 hours of riding. However, there are also small losses in the charging circuitry, perhaps around 20% of the total generated power. Adding the 20% extra ride time (10 hours + (10 hours x 0.2)) and we’re looking at 12 hours of riding to fill the battery from scratch. Most people with USB chargers like to save their power for use later. But this is not the most efficient way to charge because there are energy losses through the additional circuitry. When power is stored in a battery, it experiences a storage loss of 15-20%. In order to minimise this loss, it is best to try to charge your electronics either straight from the USB charger or using the pass-through feature of a battery. 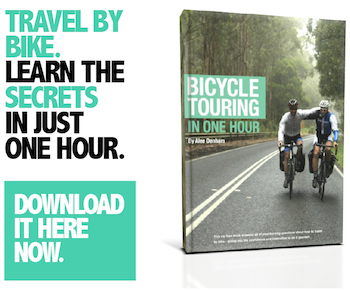 It’s nice to have that power on tap, but when it means you lose 1-hour of power per 5-hour ride… it adds up! You can read my detailed resource on external batteries HERE. 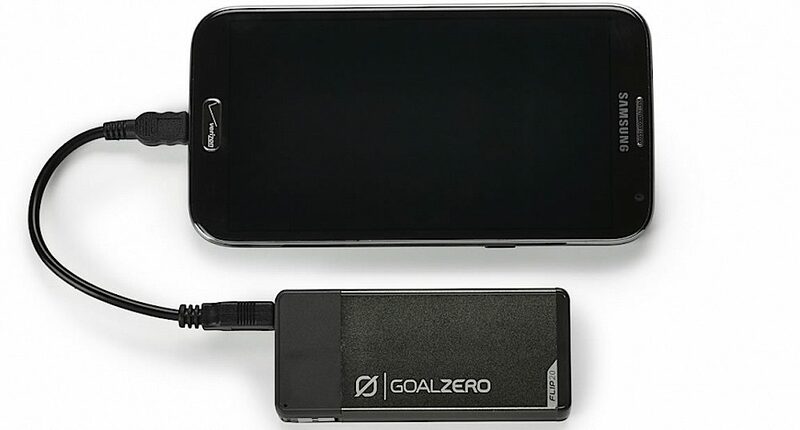 The Goal Zero Flip 20 is a battery with low current pass-through charging suitable for dynamo hubs. I don’t know about you, but I really appreciate a neat and integrated charging solution. 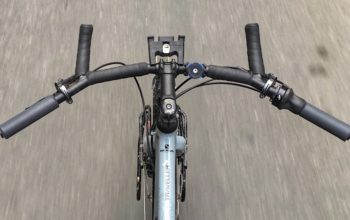 The steerer tube mounted systems have got to be the neatest option – I personally use the Cinq5 The Plug III. But this dynamo USB charger has downsides too – the USB plug is exposed and can deteriorate over time. That said, my Plug III is a little rusty, but still operates as normal a few years on. The Sinewave Reactor uses gold-plated USB contacts and has been designed with a path for water to drain away. Look at it this way: if these products both didn’t work, they wouldn’t still be on the market. 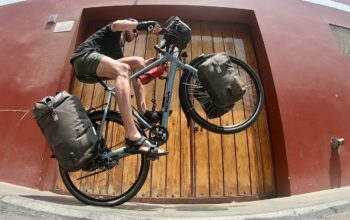 Ortlieb has a handlebar bag called the Ultimate 6 Pro E which has connectors built into handlebar bag mount. This allows you to keep your USB charger and devices inside your waterproof bag, and take the handlebar bag off without unplugging anything. 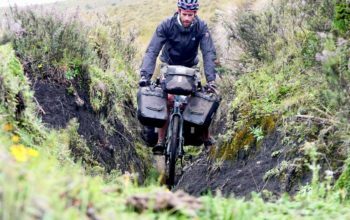 That just leaves a few wires on your bike – very neat! The Sinewave Reactor sits neatly above the stem but is exposed to the elements. There’s another neat charger design. A few dynamo lights actually incorporate a switch which directs power away from the light to charge your USB devices. 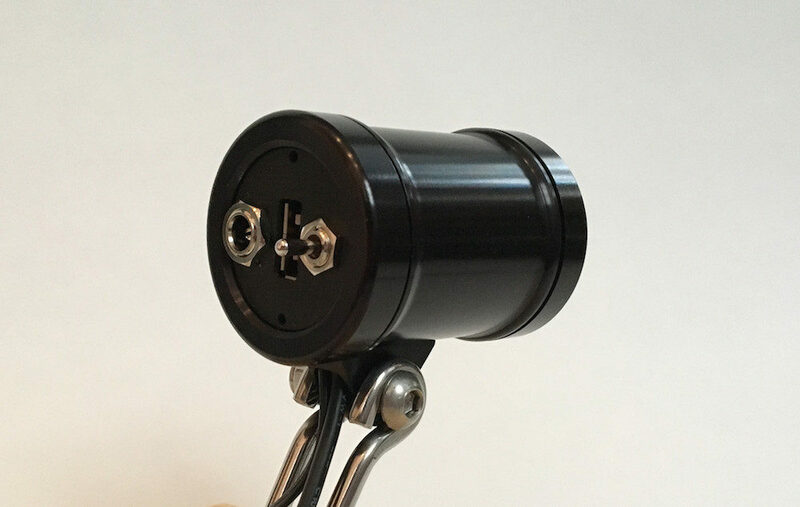 This creates a nice integrated and cost-effective light/charging system with less cabling. That said, some light/chargers are less efficient than standalone units because they are not optimised around charging. The Sinewave Beacon should technically operate similarly as it uses the same charging internals as their other units. The Sinewave Beacon offers both a dynamo light and USB charging. 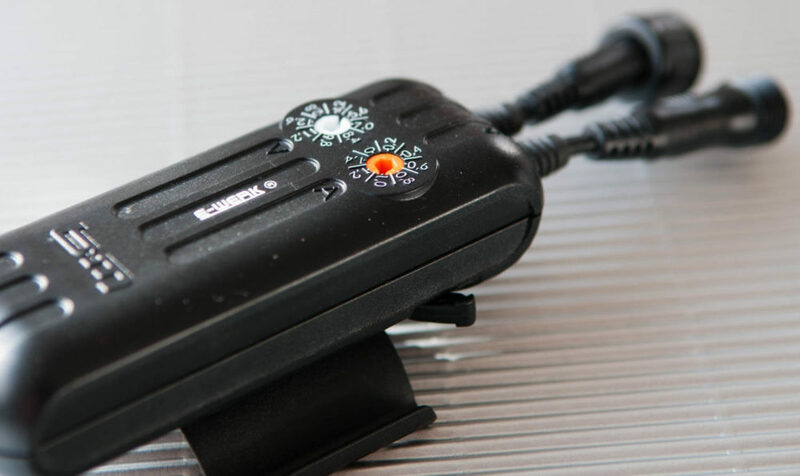 If you’re having issues with charging, a cheap USB LCD Voltmeter can help diagnose whether your USB charger is making the right amount of power. If you’ve determined you’re getting the right voltage and current for your device, you may be having issues with the particular cache battery you’re using. 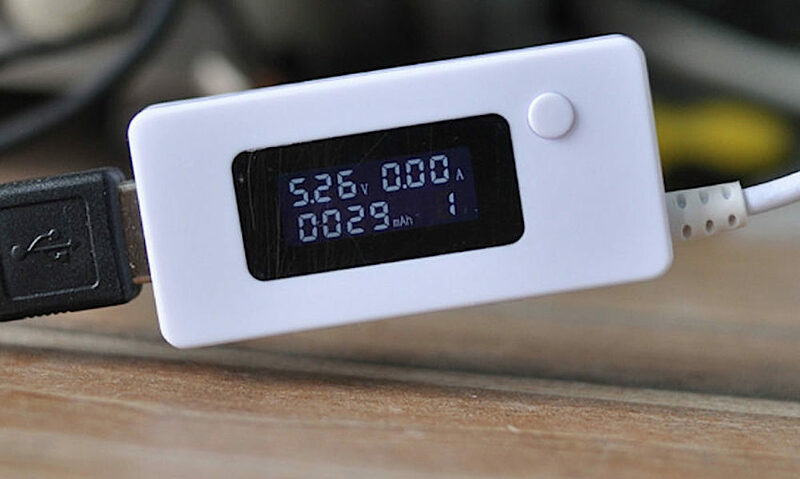 You can use a USB LED voltmeter to determine how much power your charger is making. Take a look at my list of the hub dynamo USB chargers options HERE. Dynamo USB chargers are almost all excellent these days. You’ll be able to generate USB specification or over 3-watts of power at 20km/h with all of the chargers mentioned above. Many are waterproof, some are super neatly mounted on the bike, some are integrated into a dynamo headlight. If you’re happy with an increase in dynamo hub drag, you can generate additional power using USB chargers with integrated series capacitors. This is going to be the best option for heavy electronics users. That said, if you just want to keep on top of your phone or GPS, any of the regular USB chargers should work absolutely fine.